[SatNews] The package was designed to give customers the ability to transmit their own video channels, from anywhere in the world to anywhere in the world. CommunicAsia - Antenna Technology Communications Inc. (ATCi), a provider of ground-based commercial satellite communications systems and services, announced from the CommunicAsia Conference being held in Singapore its complete flyway broadcast system. The package was designed to give customers the ability to transmit their own video channel/s, from anywhere in the world to anywhere in the world. 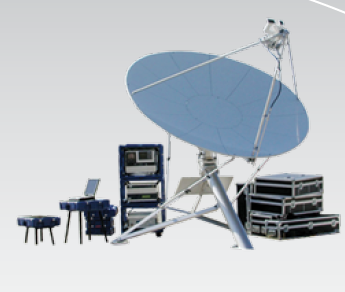 ATCi's Fly Away System includes: Antenna, Amplifier, Encoder, Modulator as well as an ATCi Spectrum Analyzer, as well as ATCi's design, integration and implementation services. The flyaway systems are in stock and pre-tested for maximum reliability. "Providing news access to areas under conflict such as Thailand, Syria and Iraq is critical right now," said Gary Hatch, ATCi's CEO. "Broadcasters need rugged, reliable equipment that is able to operate effectively in war torn areas," Hatch continued. "Our systems are priced aggressively, in stock and our fast delivery and installation expertise allows for quick setup and fast time to air worldwide," Hatch concluded. Designed for worldwide transmit and receive operations, the versatile family of FlyAway Antennas can be easily transported to any place in the world via domestic or international carrier. These portable antennas consist of a lightweight support structure with superior stiffness and high performance under wind loading conditions. Built compact and sturdy, each fly-away is lightweight and efficiently packed in rugged cases that double as a wheeled carrier that can be maneuvered with ease. The versatile FlyAway Antennas provide broadcast quality transmissions from any remote location. Designed for field locations installation, set up time is simple and fast allowing broadband content to be transmitted and received any time, any where. Learn more here.